The goal of experiential retail is to foster a sense of community in an entertaining setting. Examples of the experiential retail trend are the increase in outdoor malls referred to as “lifestyle centers” and the emerging trend of mixed-use lifestyle centers. Sadly, few retailers offer a truly memorable experience. Apple does, with its merchandise displayed in a customer-friendly manner, basically inviting customers to come in and play. What differentiates it from competitors is the full complement of staff ready and waiting to answer questions (and sell products). For those seeking a slightly more special experience, customers can make an appointment for an exclusive one-on-one at the Genius Bar. Apple customers expect -- and receive -- a hands-on tech experience that satisfies their needs, whether they stopped in to ask questions, buy some gadgets or get a feel for a particular set of products. It wasn’t that long ago that industry experts were mumbling about the demise of Best Buy. Many thought it would go the way of Circuit City, CompUSA and Crazy Eddie. But, instead, the big box electronics retailer transformed itself during the last six years into a powerful competitor by confronting the challenges of showrooming and e-commerce. First, Best Buy created an in-store shopping experience in which customers could watch movies on leading-edge TVs, play with the latest gaming consoles and listen to music on high-quality audio equipment. The retailer gave customers a reason to visit the physical store. Second, Best Buy’s size meant it can negotiate discounts with suppliers—and pass the savings on to customers. Best Buy was, therefore, able to offer product pricing comparable to its online competitors. Combining experience and pricing with instant gratification proved to be a winning solution. Retailer Topgolf has taken experiential retail to new heights. The retail chain is planning a three-level building in San Jose, Calif., with 3,000 sq. ft. of private event space and 120 hitting bays. The company’s newest location offers golfers the opportunity to hit microchipped balls at colorful targets, challenge friends on the World Golf Tour app, follow shots on the range using Toptracer Ranger and view celebrities on the retailer’s original online content. To be successful, experiential retail must be authentic: It must have a clear tie to the retailer. In addition, a strong human element is also needed. It’s not enough to have associates; frequently, shoppers will complain about intrusive employees. 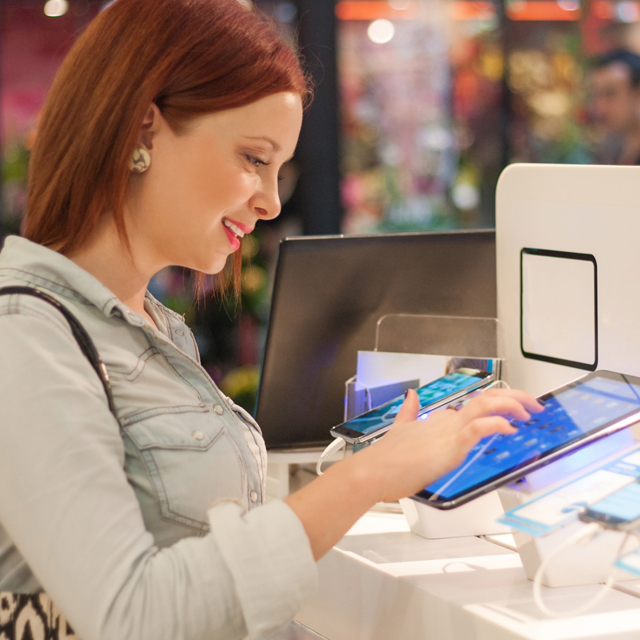 More often than not, however, shoppers welcome friendly and knowledgeable staff -- after all, they chose to shop in a physical store rather than online. What they really want is staff that adds value to the transaction. Having an associate ready and eager to offer advice and to help them navigate their product choices enhances the overall experience.